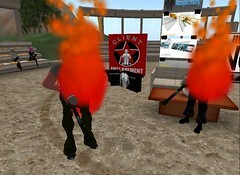 All Presenters Should End in Self Immolation? 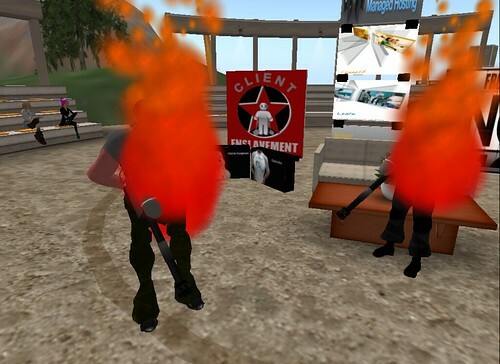 Jim Groom and Tom Woodard ended their over the top presentation The Revolution will be Syndicated by turning their flamethrowers on each other. This was the closing session of the 2008 NMC Rock the Academy Symposium, a conference wildly played out in Second Life.